The Lord has been good to me, far more than I deserve. ...and when the needle and thread have weaved their beauty, and the pattern is ready to share with you, I feel my heart almost burst with gratefulness at His creative generosity towards us. 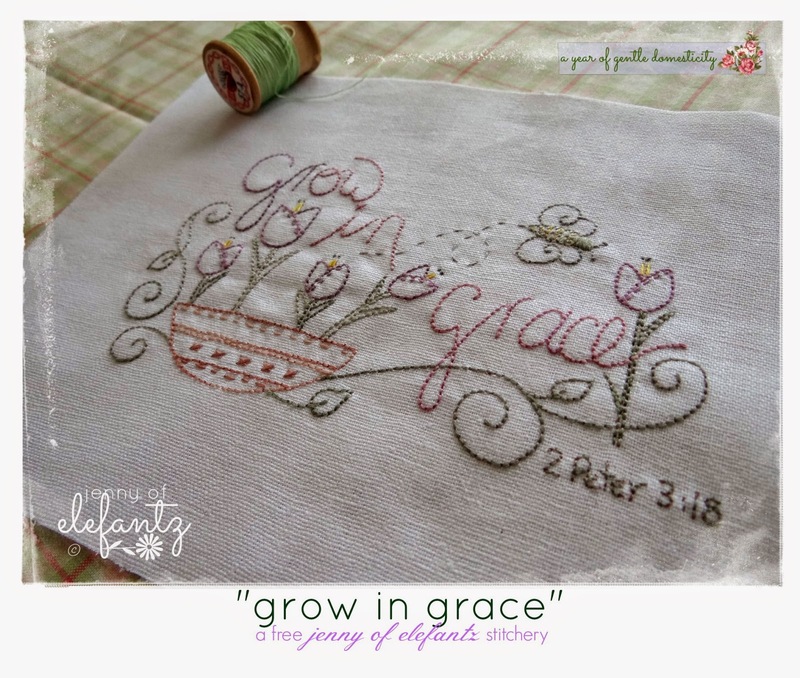 "Grow in Grace" is HERE as a free download. Please share on Pinterest, Facebook, and Google+ by clicking those little buttons under my signature. So beautiful Jenny, thank you and thank you Lord for giving Jenny this talent to use for your Glory. Very heart felt! Gorgeous! 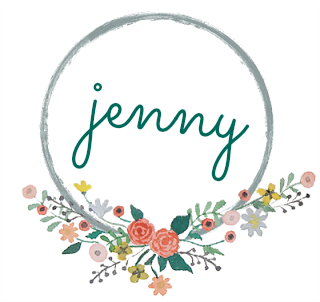 Thank you Jenny for sharing your incredible talent with us. Thank you, Jenny... it's just lovely! So very lovely! Thanks for passing along some of God's generosity. Thank you so much for sharing....I hope to start this sweet project soon. 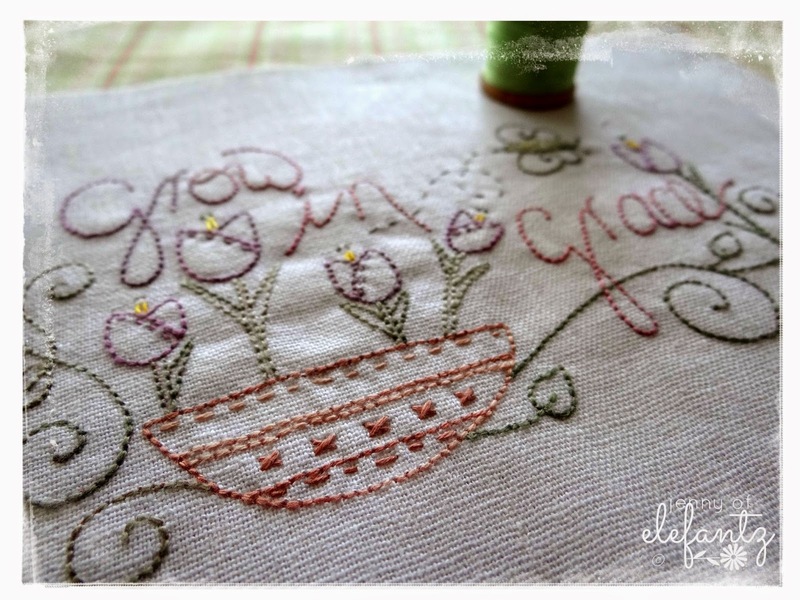 Thankyou so much for sharing this beautiful stitchery with us all. Thank you for the beautiful pattern! 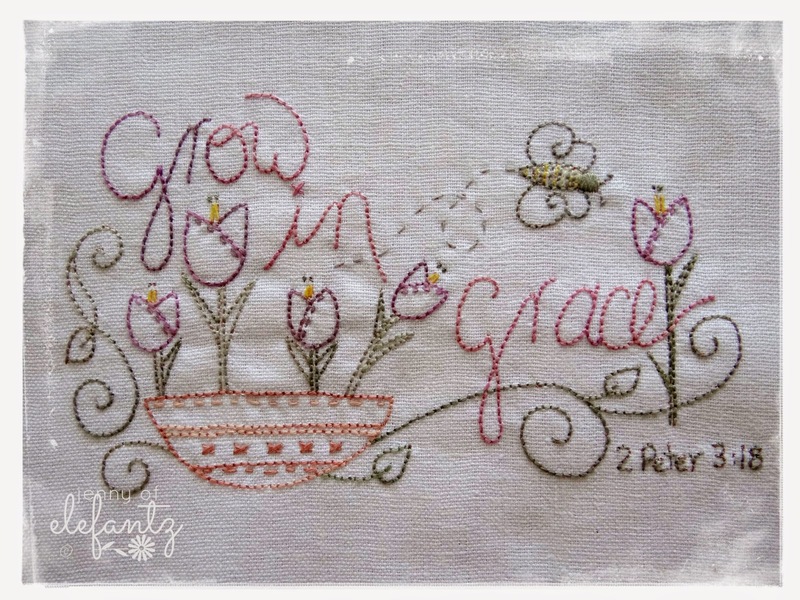 This is so beautiful - and one of my favorite verses - oh Jenny I can't WAIT to stitch it! Thank you sweetheart!